On Saturday, April 7th, 2018, the 7th International Conference at UCLA, sponsored by the California Masonic Foundation, will take place in Los Angeles. 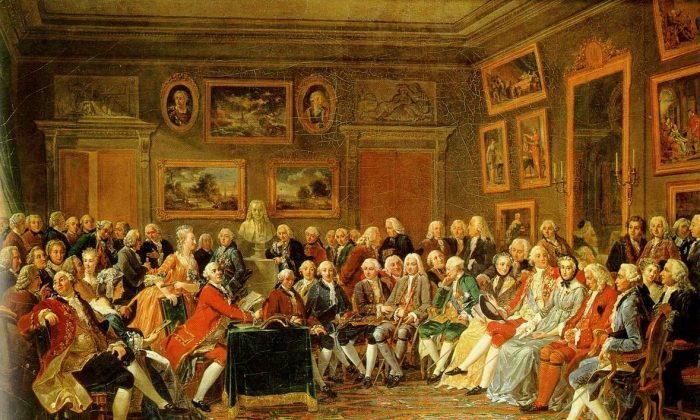 The Enlightenment created a new culture that formed the basis of our modern civil society. As this movement spread throughout Europe, Masonic lodges became an important enclave for social transformation. Learn how Masons balanced the intersection of religious and secular forces during this period, with an approach that was both radical and revolutionary. Hear from iconic Masonic scholar Margaret Jacob as she completes her pre-retirement tenure at UCLA. Speakers from around the world will travel to Los Angeles to honor Professor Jacob’s remarkable career and share global perspectives of Masonic scholarship. • The French Revolution: Did existing Masonic values of fraternity and equality fuel the French Revolution, or was it the French Revolution that enshrined these values in Freemasonry? • Early secular Freemasonry: Although early Freemasonry claimed to accept men of all faiths, in the 19th century, this aim was oftentimes limited by imperialist forces. • Secular spirituality: From the unique vantage point of 20th century Turkey, discover how Freemasonry offers men an avenue for exploring secular spirituality through universal esotericism. • Lodges as sanctuaries or workshops for the world: In the 18th century, Masonic lodges found themselves at a crossroads when some members wanted to limit philanthropy to the intimate setting of the lodge and others wanted to promote Masonic values within the public sphere. • Revisiting the Illuminati: Although the Illuminati Order was dismissed as a school for radicalism in the 1700s, contemporary research suggests that Illuminati degrees may in fact align with the central ideas of radical, secular Enlightenment thought. Conference registration is $30. Add a Southern-style buffet lunch for just $20. To register, visit the Conference website HERE.